Kitchen spraying is a very fast, clean and professional way of upgrading your existing kitchen cabinets. In the majority of cases we will spray a minimum of 4 coats of paint onto your doors after they have been thoroughly degreased as well as chemically and mechanically keyed. For a long lasting finish, it is essential to use the correct preparation. If you have been looking at your kitchen for a while, thinking it needs replacing as there are too many things wrong with it, think again. 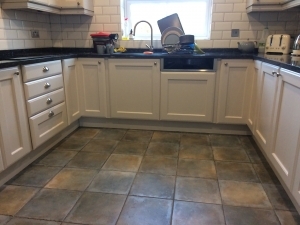 Our kitchen makeover service goes beyond spraying the doors, drawers and units. We have added the door replacement service recently as we can see that sometimes clients want a change of style as well as colour. We can offer the best of both worlds which will give you a more complete service. Kitchen resurfacing is a general term for doing exactly that, changing the material on the surfaces of the kitchen you already have. 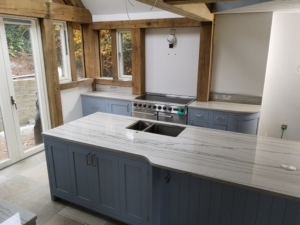 Whether it is your kitchen doors, cabinets, worktops or tiles we have different professional products that can transform these areas. 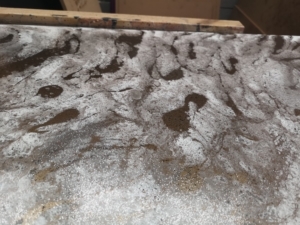 Worktop refinishing is basically working with the worktops you already have, but making them look like a new and completely different design. 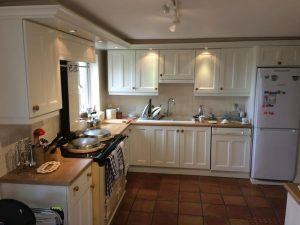 Kitchen refurbishment brings what was once a great looking kitchen back to life and still at a fraction of the cost of replacing. 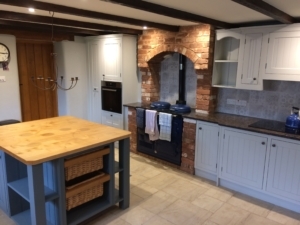 Many of these bespoke kitchens have been built to fit awkward places. 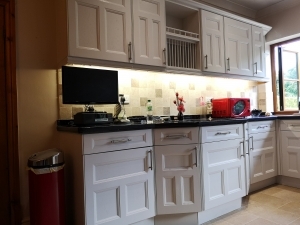 Kitchen refurbishment is very affordable, as a new hand-built kitchen would cost tens of thousands of pounds.